A thief who stole a cabinet of lighters from Surelock Homes in Friars Square, Aylesbury, appears in this week’s round-up from the magistrates’ court. ELLIOT DAVID SUMMERLING, 45, of Fowler Road, Aylesbury. 1) Failed without reasonable excuse to comply with the community requirements of a suspended sentence order by failing to attend appointments with the relevant probation officer. Admitted breach. 2) On December 17 stole a cabinet containing 15 lighters worth £269, belonging to Surelock Holmes Ltd, Aylesbury. Pleaded guilty. Awaiting sentence. LAURA DEVEREUX, 30, of Pluto Way, Aylesbury. Between 2011 and 2014 failed to notify relevant authorities of a change in her circumstances which affected her entitlement to housing benefit and income support, namely that she was in employment. Found guilty. Must carry out 80 hours of unpaid work, £500 costs, £60 victim surcharge. LUKASZ KROL, 19, of Spearing Road, Wycombe. On December 23 stole two 70cl bottles of Jack Daniels worth £36 belonging to Tesco Broadfields. Pleaded guilty. Pleaded guilty. Fined £280, costs £85, victim surcharge £28. JACK MILLER, 23, of Beacon Close, Stone. On December 24 criminally damaged a cell at Aylesbury Police Station to the value of £80. Pleaded guilty. Discharged conditionally, costs £85, compensation £80, victim surcharge £15. CHRISTOPHER JOHN STANDRING, 29, of Demoram Close, Winslow. 1) On December 23 in Market Square, Winslow, had an offensive weapon in a public place, namely a gardening fork. Pleaded guilty. 2) Same date, at the Bell Hotel pub, Winslow, assaulted two males. Pleaded guilty. Awaiting sentence. LOUISE MICHELLE McDONALD, 35, of Queensmead Road, Loudwater. On July 13 assaulted two females at Stoke Mandeville Hospital. Pleaded guilty. Awaiting sentence. JAMES PREECE, 21, of Windmill Road, Towersey. On December 20 assaulted a female at Fever and Boutique, Kingsbury, Aylesbury. Pleaded guilty. Fined £75, compensation £20, costs £85, victim surcharge £20. JONATHAN BENNETT, 40, of Hilton Avenue, Aylesbury. On January 21 2015 drove a vehicle on the A413 Wendover Bypass without due care and attention. Pleaded not guilty, found guilty. Fined £340, compensation £250, costs £300, victim surcharge £34, licence endorsed with six points. JADE-DELLA BLACKBURN, 27, of Beeston Lane, Aylesbury. On October 17 drove a black Mercedes A180 in Bicester Road, Aylesbury, after consuming 82 microgrammes of alcohol in 100 millilitres of breath (legal limit is 35mgs). Pleaded not guilty, found guilty. Disqualified from driving for 20 months, fined £725, costs £720, victim surcharge £73. MICHELLE LOUISE HOLT, 34, of Cubitt Street, Aylesbury. 1) On September 19 drove a Vauxhall in Bicester Road, Aylesbury, after consuming 118 milligrammes of alcohol in 100 millilitres of blood (legal limit is 80mgs). Pleaded guilty. Awaiting sentence. PAULINE ANNE KABALTSHUK, 63, of Saunders Place, Fairford Leys. On December 20 in Stablebridge Road, Aston Clinton, drove a Honda Civic after consuming 81 microgrammes of alcohol in 100 millilitres of breath (legal limit is 35mgs). Pleaded guilty. Disqualified from driving for 20 months, fined £300, costs £85, victim surcharge £30. ARRON LEE, 22, of Marshall Avenue, Bridlington. 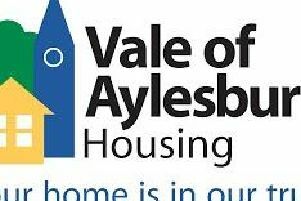 Between December 4, 2014, and January 6, 2015, criminally damaged the walls to a flat in Bearbrook House, Aylesbury, to the value of £170, belonging to Stonham Housing.Pleaded guilty. Fined £120, compensation £170, costs £85, victim surcharge £20. THOMAS McNALLY, 25, of Lee Road, Aylesbury. On December 20 in Dawney Close, Aylesbury, had in his possession seven deal bags of cannabis, a class B drug. Pleaded guilty. Fined £120, costs £85, victim surcharge £20. MARIO MENDES MARQUES, 38, of Maddox Road, Hemel Hempstead. On December 17 on the B488 Ivinghoe, drove a Toyota Corolla after consuming 76 microgrammes of alcohol in 100 millilitres of breath (legal limit is 35mgs). Disqualified from driving for 20 months, fined £400, costs £85, victim surcharge £40. MATTHEW WILLIAMS, 32, of Magpie Way, Winslow. On December 13 iin Magpie Way, Winslow, drove a Mercedes Vito Van after consuming 91 microgrammes of alcohol in 100 millitres of breath (legal limit is 35mgs). Pleaded guilty. Awaiting sentence.